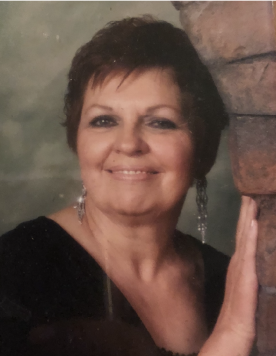 Barbara A. Gerrard, 74, of Rock Falls and formerly of Oglesby, died peacefully August 18, 2018 in Katherine Shaw Bethea Hospital in Dixon. Mass of Christian Burial will be 11:00 AM Wednesday in St. Hyacinth’s Church in La Salle with the Very Rev. Paul Carlson officiating. Burial will be in St. Hyacinth’s Cemetery in La Salle. Visitation will be in the church on Wednesday from 9:00 AM until time of services. The Hurst Funeral Home in La Salle is handling her arrangements. Barbara was born in LaSalle on September 5, 1943 to Marion and Josephine (Zuchora) Brucki. She married Arthur Pilarek, and he died May 9, 1966. She then married John “Jack” Gerrard on June 24, 1967, and he died on August 30, 2003. She was a homemaker and worked at Target in Peru for the first ten years of its opening. Barbara enjoyed crocheting, shopping, and spending time in her flower garden. She is survived by her companion Cleutus Del Hotal of Rock Falls and their dog Chloe and six children; Karen (Craig Catton) Blair of Washington, Greg (Shelly) Gerrard of Monroe, NC, John (Donna) Gerrard of Dalzell, Jeff (Kinnie) Gerrard of Kennewick, WA, Lauri (Larry) Lauer of Pantego, TX, and Jaci (Todd) Ferguson of Peru. Fifteen grandchildren and ten great-grandchildren. One sister Carolyn Wrobleski of La Salle; three brothers, Jack Brucki of Palos Hills, Ray (Shirley) Brucki of Yorkville and Jerry Brucki of Bemidji, MN. She was preceded in death by her husbands and one sister Joanne Piercy. Pallbearers will be Elizabeth Blaiszik, Hannah Blaiszik, Katie Heinzroth, Clarissa Gerrard, Payton Ferguson, Justin Blair, and Aaron Long.